So we went to Disneyland this week and it was pretty fun. 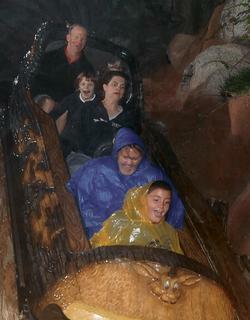 I went on Splash Mountain with my son. They take pictures on that ride and I don't mind admitting that I was mindful of trying to do something flattering--if not downright cute--when the picture was snapped so I would have an attractive keepsake of our trip. What happened was not exactly what I had in mind. I wish I could say I posed like this on purpose. Unfortunately, I did not. I wish I could say there was not a group of people gathered around my picture after the ride laughing and pointing. But there was. Quit staring. I was under duress. Now that IS a look of "Cool, Calm and Collected" if ever I saw one. At least it seems you enjoyed the moment. That's what it's all about...Family bonding. Wow. I want to go to Disneyland with you. Kacy, you are truly amazing. First, you illustrate your uncanny resemblance to David Hurwitz. Then, as if that weren't enough, you show your deadpan likeness to Orlando Bloom, another of Hollywood's greatest gifts to human eyes. 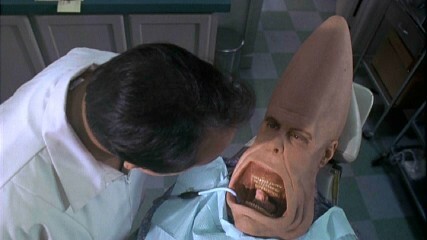 Now, as if to prove just how great are your powers, you take on the spitting image of Steve Buscemi! That looks like the face I make after the ride when I see how much they expect me to pay for the photo. That's awesome. What happened to those much-lauded face muscles? I've been on that ride, and it really is a little higher and a little steeper than you are expecting before you round that last corner. We also just got back from Disney. My picture from Space Mountian was quite a bit more shocking then yours. 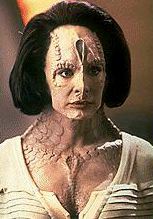 I remember thinking..."huh, I didn't know it was possible for a human to look like this, especially me. I am glad you bought it!! I set that as my wallpaper. I can't get over the contrast. 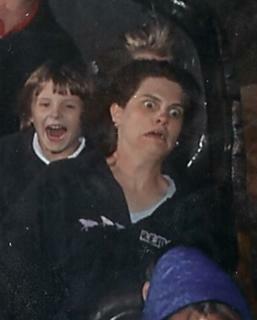 Everyone else on the ride seems to be enjoying it and you are clearly scared out of your mind. Very funny. It's so funny. We can't stop staring...and laughing. Miles, awakening in a cold sweat, will every so often say, "Remember when I went on that ride Splash Mountain? Yeah, I'm never doing that again!" Thanks for reminding me why I'm glad I was nursing the baby when we hit that ride. . .
Kinda reminds me of this, or maybe this. Or maybe some combination of all three. Who knew that fear momentarily ages you to, say...Egyptian-Mummy-on-display years old. I hate to think of what you looked like in "The Haunted Mansion." So... none of my images showed up! That's annoying. Here's the links. Hannah told me about it and I had to see it for myself. The best part is that you display it proudly instead of walking past it and pretending that it wasn't you with the freakishly frightened faced. 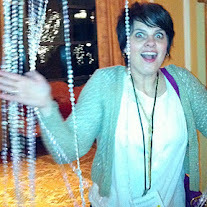 I don't know you, but I know the Magleby's and I came across your blog and I laughed, a lot, when I saw your pictures. It was just too good to pass by without at least commenting. Just kidding. I didn't point. Everyone at the office really enjoyed the photo and the way Christian told the story was even better. Rachael says I make that face when I'm mad. Scary. So uh err where is Sam?? You can see Sam's ear just in front of Kacy and behind the blue cap. Just so you know...Hannah can't stop talking about this picture. I've heard her mention it at least 3 times in the past week, and we don't even talk that often. I'm curious what your face was on Space Mountain, actually--that ride is a lot scarier than Splash Mountain. Ohmyword, that is funny. Thanks for sharing! I had to cover my mouth to prevent waking my esposo. That is one of the funniest things I have ever seen! I'm SO glad you shared it. It made my day. Really--I've been up far to late working on stinking calendar and budget stuff for Young Women. Wow. I just had to look again. That's amazing. It makes me glad we're friends.